The chorus repeated itself in my slumber. I am holding on to you. As I slowly came to consciousness, I realized the Lord was singing a summary of His miraculous intervention in our family’s life. The day before began with prayers for my husband and children. I specifically prayed for the Lord’s protection over Jon and his travels. Later that afternoon, Jon called to say he survived a harrowing incident on the interstate highway. 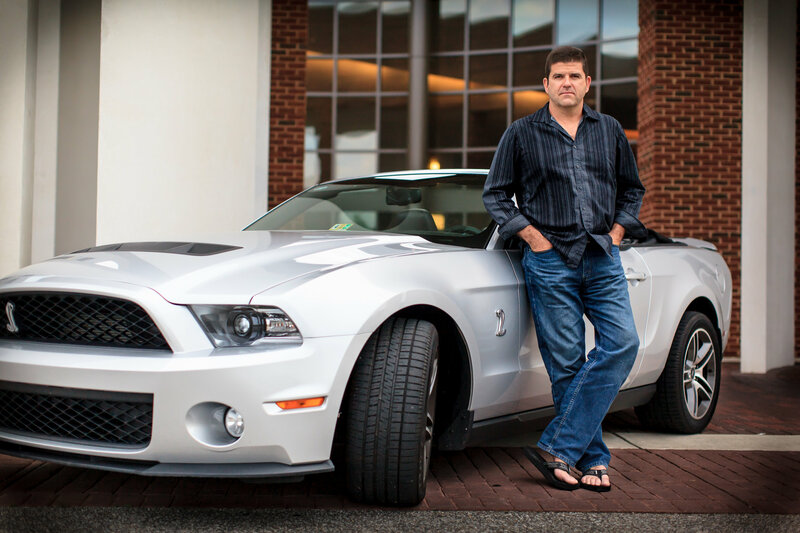 A muscle car enthusiast, my husband enjoys the thrill a Mustang Shelby brings to the driving experience. But nothing prepared him for the jolt that occurred when a tire blew while he was moving at seventy miles per hour. The car jerked to the left before the back-end swung to the right. Jon fought to regain control when he realized he was completely sideways but still in forward motion. I listened and tried to imagine the scene. The stretches of interstate 64 that we drive are always busy with traffic…”Where were the other cars?” I asked. Amazingly, my husband responded that although there were pockets of cars ahead of and behind him, no one was directly around him. If he had ricocheted off another vehicle, the unthinkable could have happened. In the few seconds of Jon’s reacting to the incident, he sensed the car’s tilt and feared rolling. He seriously contemplated his final breaths in the temporal world. The Zephaniah 3:17 scripture takes on new meaning today. It is a multi-faceted demonstration of God’s love that leads me to reflect on His grandeur. It also demands this question: have you been quieted by the Lord’s love? You see, although Jon was face-to-face with the possibility of leaving this earth, he didn’t question in that moment what was to become of him. He knew that He would be in the presence of his Savior. Have you believed upon Jesus for eternal life? I encourage you to take inventory of your life. Are you experiencing peace now? Would you have peace in the seconds leading up to a possible car crash at seventy miles per hour? The Lord is here to quiet you with His love. You may not know it, but God has always loved you. Jesus demonstrated His love for you in the laying down of His life. If you will surrender your heart to Him, He undoubtedly will sing over you. As the One who overcame hell, death and the grave, He knows some really good victory choruses!